The Dark Wind, Edited Manuscript. This appears to be the last edited manuscript for The Dark Wind. This manuscript has all the editors’ marks for publication, including font size recommendations and margin sizes. Additionally, there are some more final editing marks for the content by both Harper & Row editors and Tony Hillerman. The Dark Wind, Revised Manuscript (Photocopy). This is a photocopy of a completed manuscript for The Dark Wind. This manuscript includes all the front matter of a published book and a note to the Harper & Row editors regarding the contents. It appears to have been marked up by both Harper & Row editors and Tony Hillerman himself. There are notes back and forth between author and editors in the margins regarding plot points. Most interesting, is Hillerman's note about writing his own brief description l for the dust cover because he did not want hints to the plot given away. This appears to be the first completed manuscript for The Dark Wind. There are only very minor editing in two places. This draft includes possible book titles, the author notes, and the dedication. The Dark Wind, Assorted Draft Pages and Notes. This appears to be early assorted pages of various chapters from The Dark Wind. The editing has been done in black and blue ink pen, sometimes on the same page, suggesting that this draft was edited by Tony Hillerman and one other person. Additionally, with the assorted draft pages are Hillerman's research on the Navajo, including: Navajo chronology, linguistic history and kinship charts. Interestingly, there is also the contact information for his writer's group and a syllabus from a Navajo Ethnology class taught at UNM. The Dark Wind, Partial Draft. This appears to be a portion of the second draft of The Dark Wind. 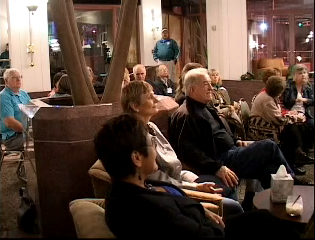 The editing has been done in black ink, suggesting that this draft was edited only by Tony Hillerman. The editing is heavy is still very heavy and plot points and final details are still being worked on. This appears to be the first draft of The Dark Wind. The editing has been done in black, blue, and red ink pen, sometimes all on the same page, which suggests that this draft was edited by Tony Hillerman and at least one other person. The editing is heavy in places and some character names have been added in. Finally, this draft has heavy water staining on some pages and some pages are different colors. 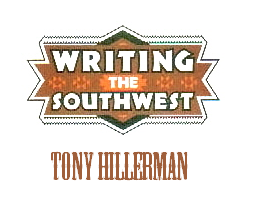 Writing the Southwest Series Interview with Tony Hillerman.